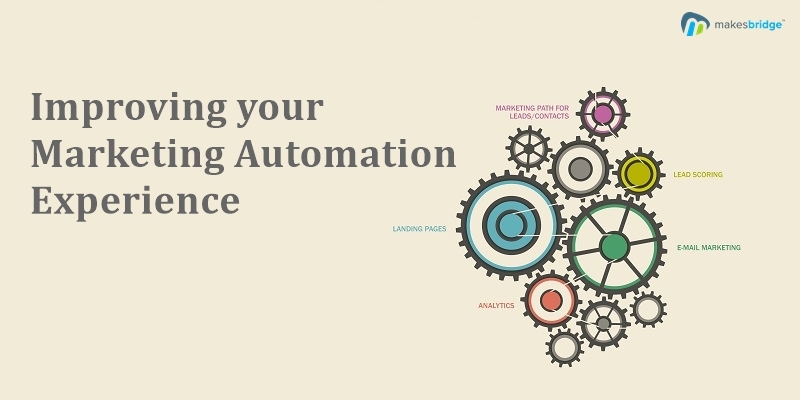 Marketing automation allows companies to make their sales process more productive via automating and measuring workflows, tasks and lead generation strategies. According to a survey by the Aberdeen Group, “businesses using marketing automation can see an increase of 451% in the quantity of leads their business has.” (See some interesting stats here). On the other hand, there are still many organizations using a marketing automation solution without a positive ROI. As a marketer, you need many so as to create better exposure for your brand. This makes the challenge of giving the vibe of exclusiveness while reaching several. Here are a few tips to help you avoid from becoming one of them. To be productive with your marketing automation efforts, you need more than only the software, you must have a strong strategy. You must start by laying out your existing sales funnel. This will let you to see where marketing automation can help to support and convert your prospects by pushing them along through the buying process. When you first take a seat to think about all the conceivable ways you could possibly segment your nurturing campaigns, it’s easy to think of a long list of possible dimensions. In case you’re just beginning, it’s best to keep it easy to begin. Differentiate a couple of essential stages in your funnel, and 1-2 personas. After some time, as you see what is and isn’t working, you can explore different avenues about including extra stages or persona segments. Having your sales team included in the early stages of executing the marketing automation software will bail you make sense of the key phases of the sales funnel. You will also depend on sales to know when to convert a marketing qualified lead (MQL) to a sales qualified lead (SQL). An automated sales process suggests sales people will invest less energy on busy work with prospects and additional time on closing deals. Dynamic groups are groups where customers with certain defined attributes are placed. The dynamic element is that if the attributes (behavior) of customers change, they will enter or be expelled from groups. Along these lines you get the right message to the right individuals. Marketing automation started with email, yet your clients are connecting with your company using a wide range of channels. Find a marketing automation system and build a process that serves up related content over all of the channels your clients use, from email to the website to more informed, significant sales calls. Alongside the points above, it is important that you can measure the interests of your clients. This means that the solution for marketing automation you pick should also have the capacity to measure the activities of the receivers (clients). In other words, it should provide you reliable sales intelligence. As per a report by Gleanster, 75% of new clients are underutilizing their marketing automation software. Sending messages is only one part of marketing automation software, yet numerous are just using it as a sophisticated method to send their newsletters. If that is all you are interested with, there are numerous less expensive email service providers available. Determine clear criteria that a prospect or customer must meet before he is named as a lead. These leads must be recognized and follow-up must be in position. Getting the eagerness of your clients is one thing. Keeping the interest is the most vital. You are not done once you have your work processes set up in your marketing automation software. A worthy marketer is a great tester. Use A/B testing to be constantly streamlining your efforts, guaranteeing they are as effective as possible. Indeed, even minor changes, for example, the color of your call to action button, can have a notable effect on your conversion rates. TO receive regular updates from our blog, sign up for blog newsletter or follow us on Twitter, Facebook or LinkedIn.